On Monday I went to our local Z service station to fill up one of our sales cars from work and saw this very tidy Mazda RX2. 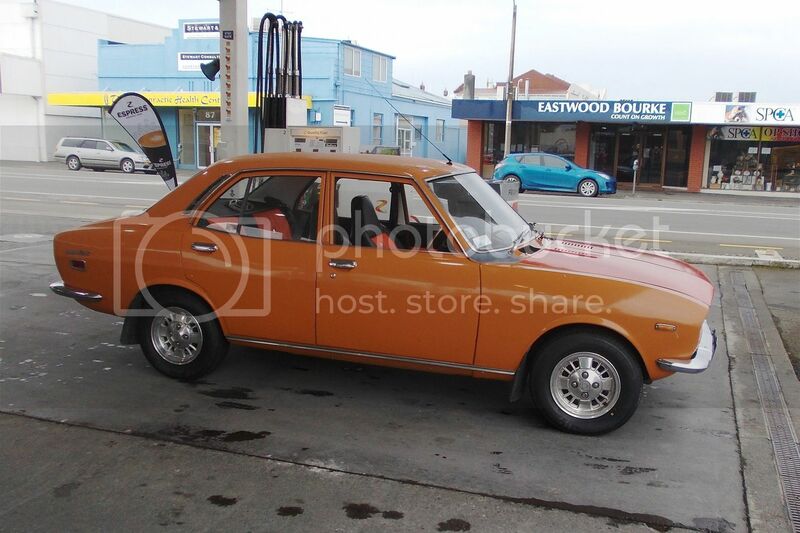 I asked the owner how long he had had it and he replied,"Since I was 5 years old, well that's when my dad bought it new from Tullochs here in Masterton". I forgot to find out what year that was, but they were only produced up to 1978 and I think this is a slightly earlier model from around 1973 or 4. Not bad for 40 years old. On Tuesday while emptying a wheely-bin (at my other job) on Ngaumutawa Road this Kenworth T650 went past with a load of Moxy. The colour looks like Satherleys, but I didn't quite get to see the sign on the door. Still looks very smart for what I discovered is a 1994 model. 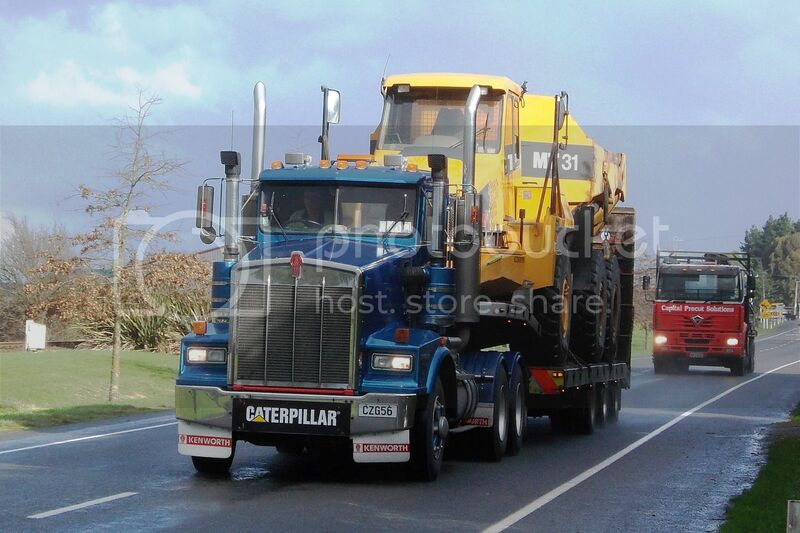 Also, note the old Foden coming up behind. 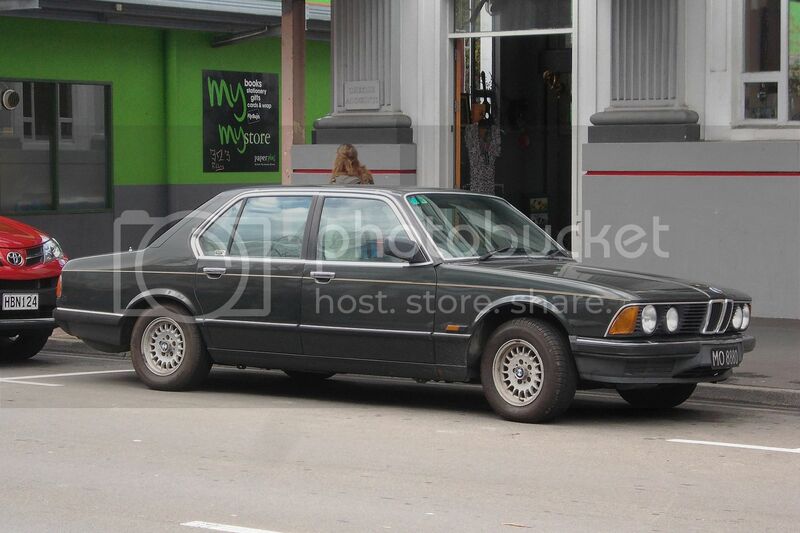 Wednesday, I spotted this very original BMW 728i parked in Masterton's Queen Street shopping area. It looked as though it was in everyday use and had very straight panels for a 1986 model. 1986 was the last year for this E23 model which was the first series of BMW's very successful 7 series and the 728i , with the 2788cc 6 cylinder power plant, was the most numerous of this series, with some 70,000 examples being produced.